Public Servants provide vital and accessible services to the South Australian community in health, education, child protection, transport, correctional services, primary industries, environment and heritage, emergency services, and much, much more. A strong and well-resourced public sector builds our State's capacity and ensures all South Australians have equitable access to the services they need to thrive. 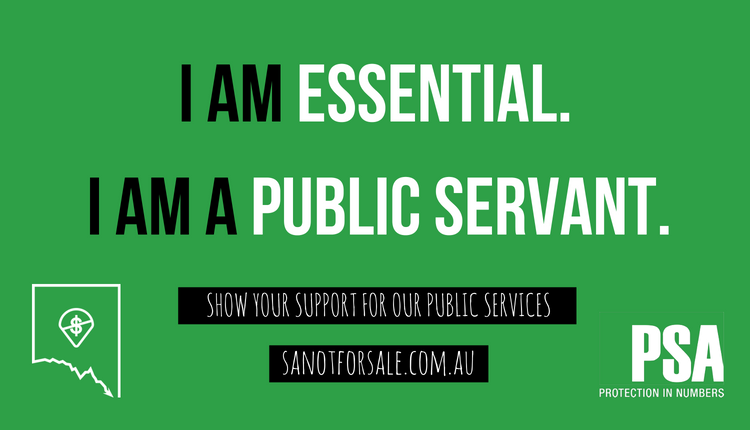 I support essential public services that the South Australian Public Sector provides in our State and strongly oppose any sell-off of State assets. Privatisation in South Australia, other states and internationally has led to increased costs and reduced protection for the public. I ask that community services provided by the public sector are not privatised further in South Australia. We the undersigned, call on the Government to invest in our public sector so we can continue to provide high quality services to our growing community, now and into the future. The Support our Public Services petition to South Australian Government was written by Admin and is in the category Government at GoPetition.